It's finally getting pretty cold over where I live. I love the colder weather because I love to get all warm and bundled up in sweaters and leggings and some boots. I love relaxing at home with the family under cozy blankets and drinking a mug of something hot, while watching holiday movies. Brooklyn Bean Roastery has some really good flavored coffee and also hot chocolate to keep me nice and toasty. I haven't tried all of their flavors yet, and they have so many different ones, with some really catchy names. The two that I've been drinking are their Fuhgeddaboutit Decaf and their delicious Peanut Butter Hot Chocolate. Yup, you read that right---PEANUT BUTTER hot chocolate. So good. Their line of coffee comes in regular bags as well as little k-cups. I opted for the k-cups as you can see in the photo above. "Full-bodied smoky blend that you can drink all day and night." The Fuhgheddaboutit Decaf was good. I wanted decaf since I'm still currently nursing my daughter. I'm avoiding anything too caffeinated for a while. 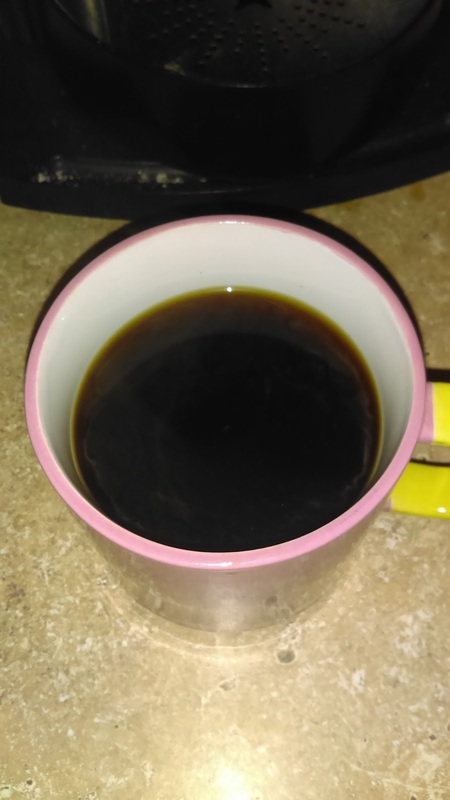 This is an extra bold dark roasted coffee. It's rich and strong, but in a good way. It has a nice flavor to it. Normally I'm not all too crazy about a really dark roast. I liked this one. "Peanut butter in your chocolate. Chocolate in your peanut butter." I love the taste of peanut butter and I love it even more when mixed with chocolate. This was the first time I'd ever tried peanut butter hot chocolate. What a satisfying combination. 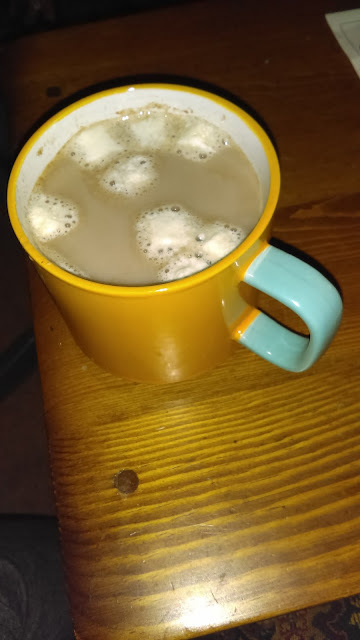 I added some marshmallows. Yummy. Drank that up real quick. Brooklyn Bean Roastery carries dark roasts, light roasts, medium roasts, french roasts, seasonal, variety, cocoa, and flavored coffees. Very nice selection. Something for practically everyone.